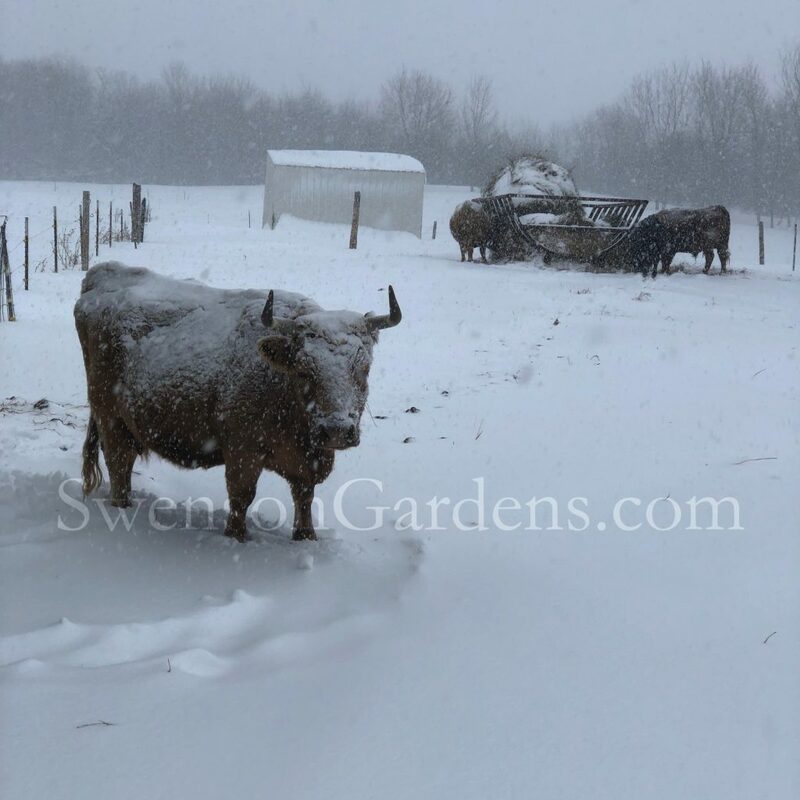 As I posted earlier on life on the peony farm, we were expecting lots of snow during the day but with the warmer temperatures, sleet is now coming down. Hoping it turns back to snow when the temperatures cool down as the beginning of winter here was an ice skating rink. I went back to some earlier pictures of Redd and Heidi and came up with this photo. 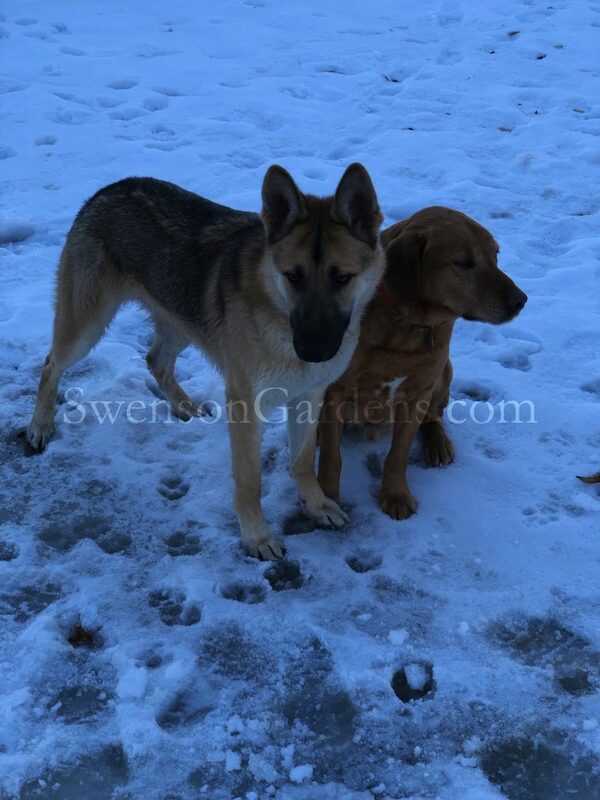 If only Redd could foretell the growth of Heidi as I found an earlier picture of those two last winter in this next photo. Heidi at 2 months old. Redd was an easy going guy at that time and very protective of her. Fast forward to 15 months old and oh how times have changed in this next photo. Heidi tries her best to take over the dominant role but in the next photo, she hasn’t got the hang of it yet? Though it gets fierce during these battles, any soft whimper from playing too hard is met with stoppage of play to assess any injuries. Don’t worry (like I do when they are playing hard), they seem to know their limits. A stand off occurs in the next photo. Redd is 9 years and 5 months old. I tell him that Heidi is keeping him young! He doesn’t seem to hear me and most of the time he is actually the instigator. It was funny last week when Heidi decided to venture off on her own and didn’t return for food time. 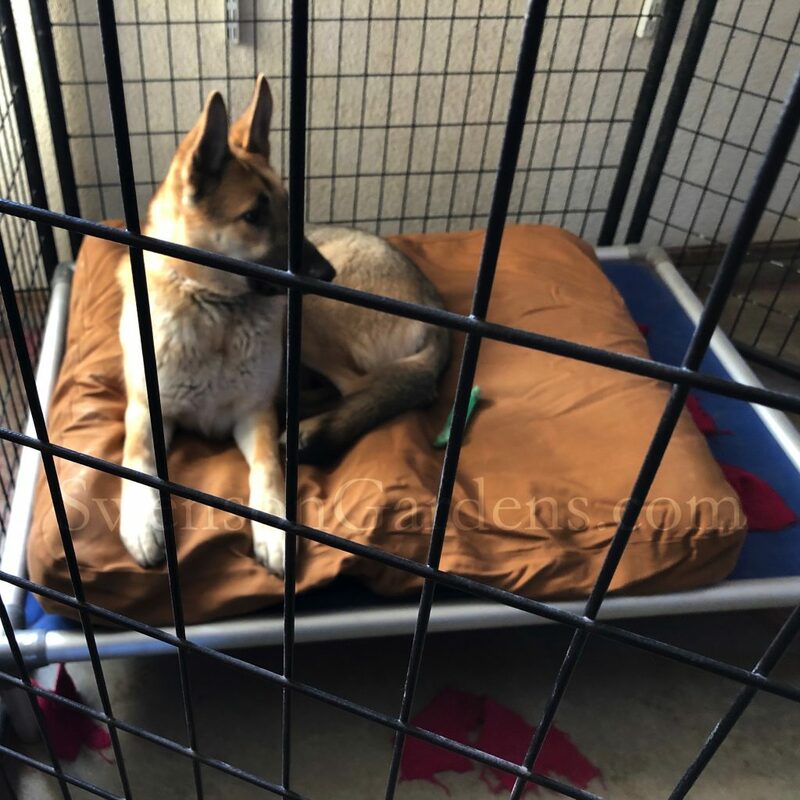 When she finally came home after Redd had finished eating, he reprimanded her fiercely to the point of her pinning her ears and tail between her legs when she entered her kennel for breakfast. I will give Redd the credit on that as since then, she does not venture off on her own. If only we could understand dogs barks and growls. Speaking of food, ok ‘bingo’s’ (as I like to call them), time to come in for food in this next photo. As you can see in the photo, Heidi was already licking her chops for food time! My how their demeanor changes when its time for breakfast and supper. We like to feed them twice a day as we think it is better health wise for two very active dogs. I’m not sure if they like to eat or go for a ride best in this next photo. 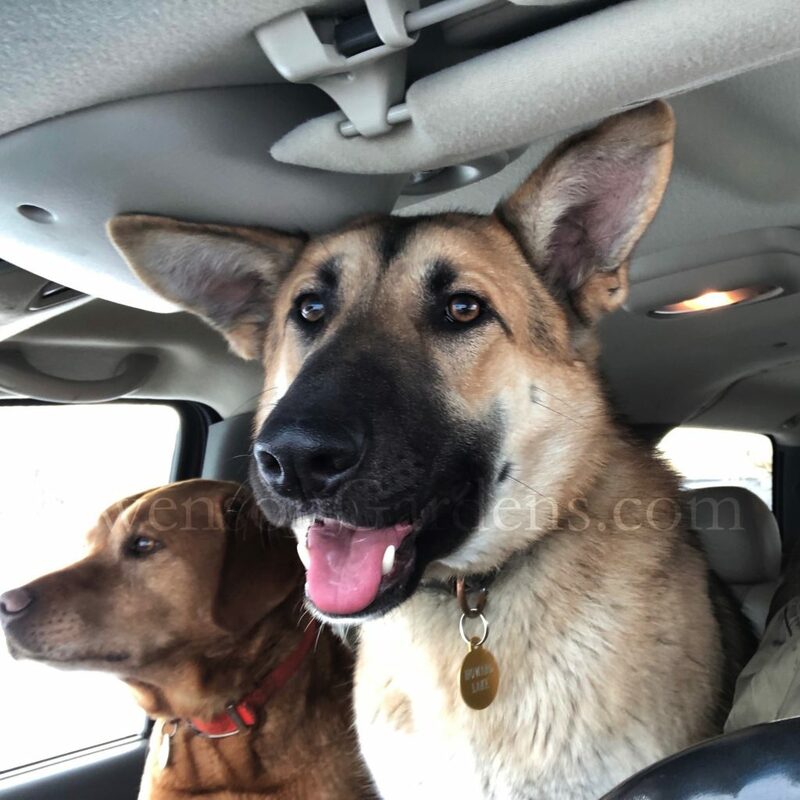 Because it has been way too cold for our dogs most of this winter, yes ,they have taken over our Suburban (of course when its not stuck in our driveway from a previous post). 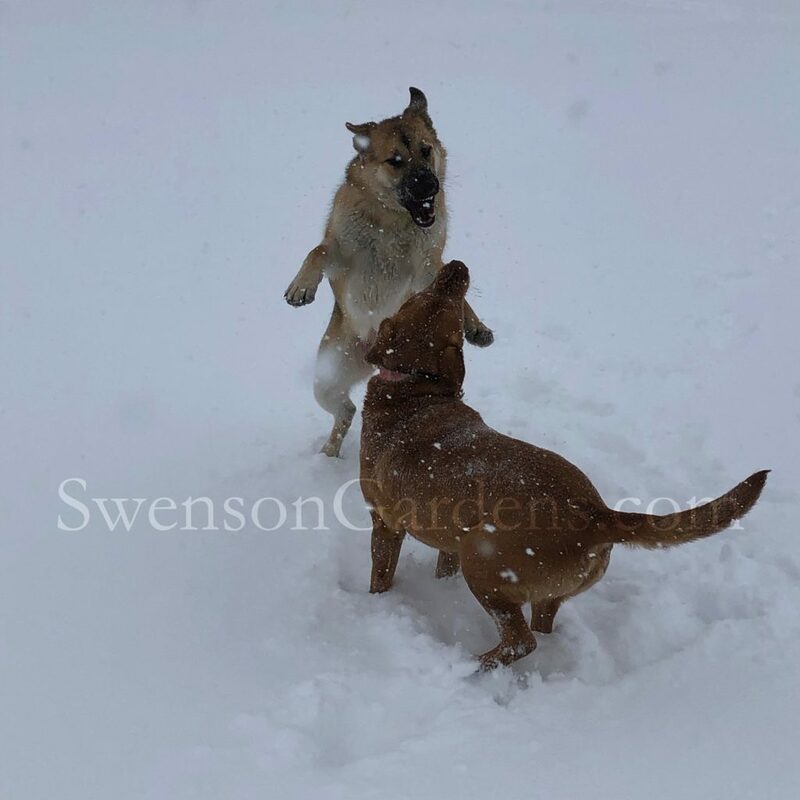 We do not allow them to run free when it is below zero and when wind chills are dangerous. Redd takes over the passenger seat and Heidi loves to put her front paws on the console to look outside. As you can see she is a tad too tall for her ears to be held high. Since Heidi is our first German Shepard, I am amazed at her watchful eyes for all our family. Redd being a British Lab is more interested in the wildlife and birds around our peony farm instead of staying close to us. They make quite a pairing though when going into town for errands. Life on the peony farm doesn’t get better than this in the winter time! Life on the peony farm would certainly not be complete with the antics of our dear Heidi. 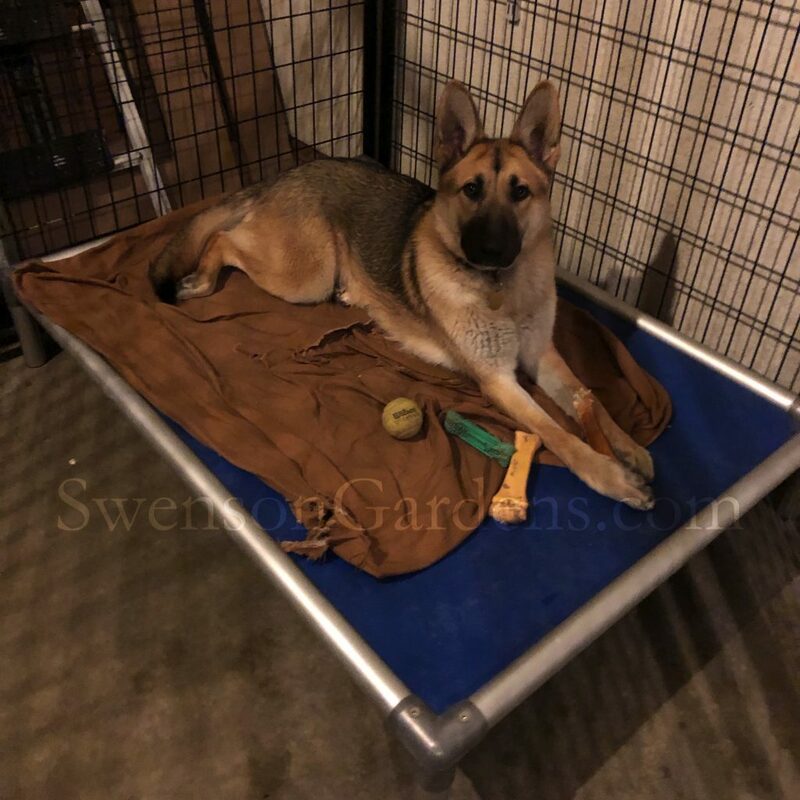 I was so excited to bring her another new bed and surely this will appeal to her with the colder winter temperatures. She was so happy to receive her bed in this next photo. Heidi and her new bed! She was very happy and content so I decided to step inside for a total of 30 minutes before checking on her. Well friends, what can a 15-month German Shepard do in 30-minutes? Take a look at this next photo. 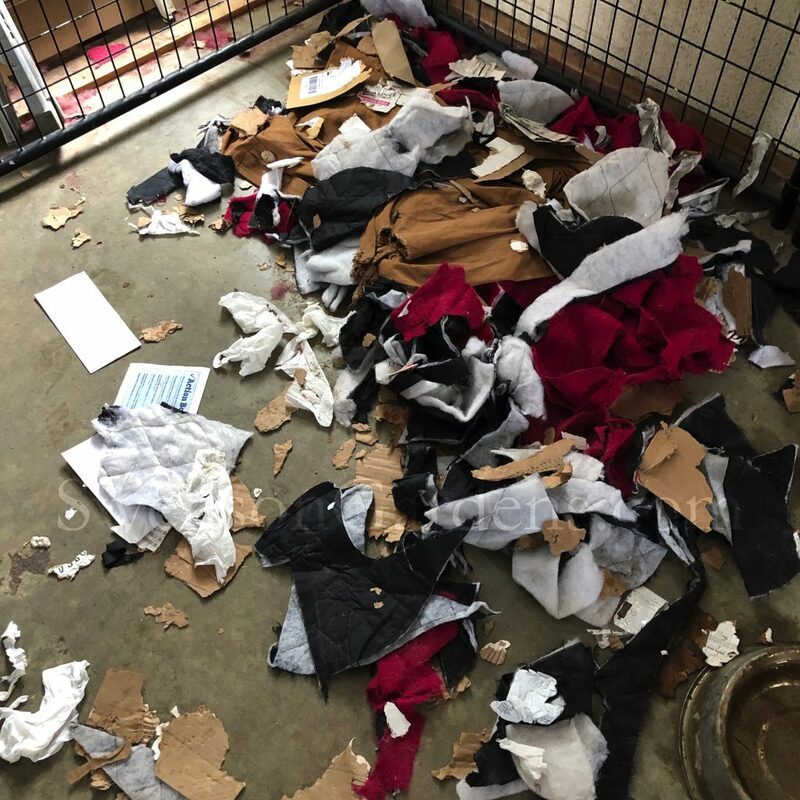 Not only did she demolish her new bed, but her friend Redd decided to unleash his activity by going through our recycling. I couldn’t figure out what the sound was in the garage but they both had a ton of fun. So what does Heidi’s bed look like now in the next photo? Ok so the cover is still somewhat new but how can you scold a face like this even though this is her 8th bed in 13 months? Life on the peony farm? 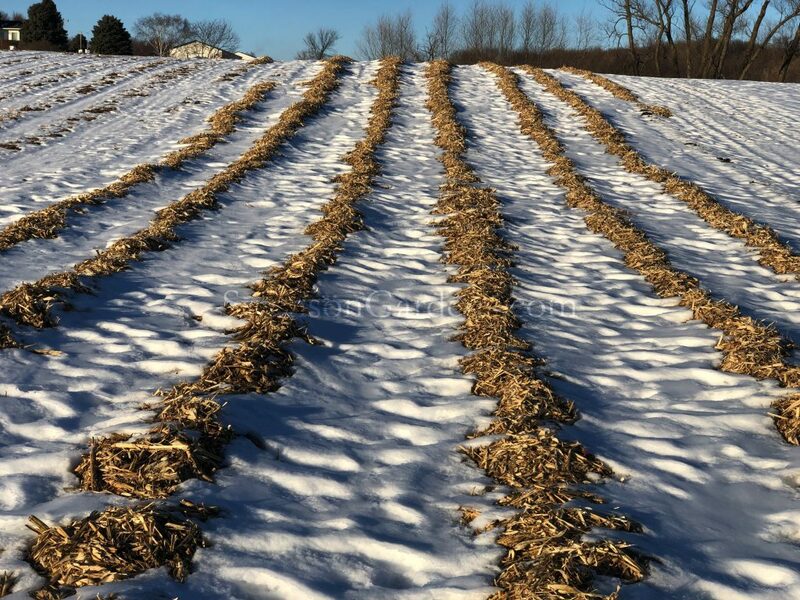 Some of you have been asking how our fertilizer production team is doing this very snowy and cold winter. 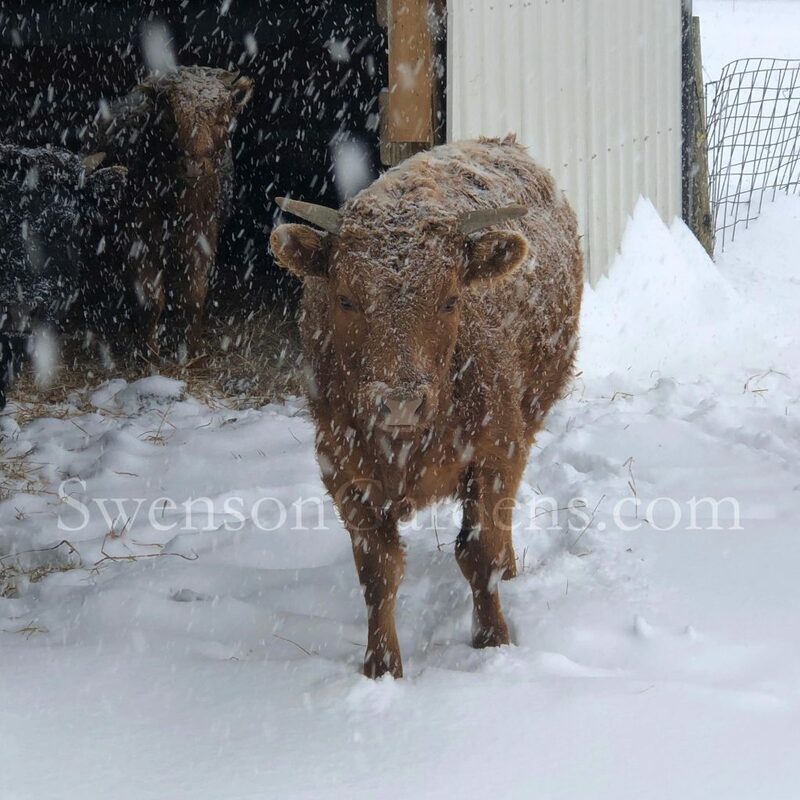 Well in the next few pictures, they don’t seem to mind as long as they have hay to eat and a barn to get out of the elements and wind. 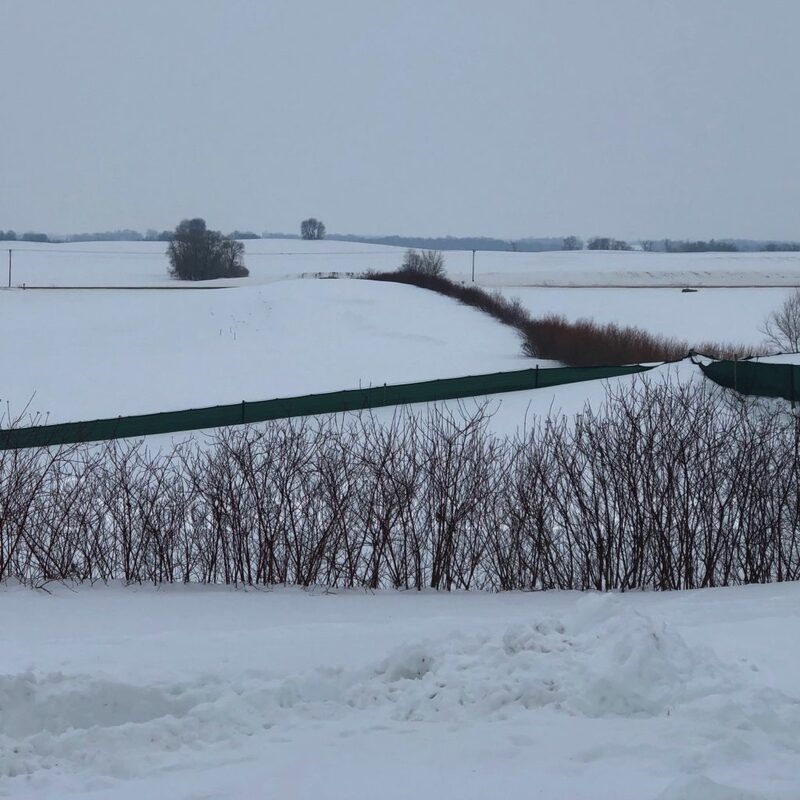 Its amazing that even during a snow storm that the fertilizer production team (FPT) likes the snow! Even though there is a nice barn with fresh bedding, some of them still like to stay and sleep outside. Guess they like the snow better than us? What a winter we have had here on the peony farm. For us and I’m sure many others, we are surely looking forward to spring! 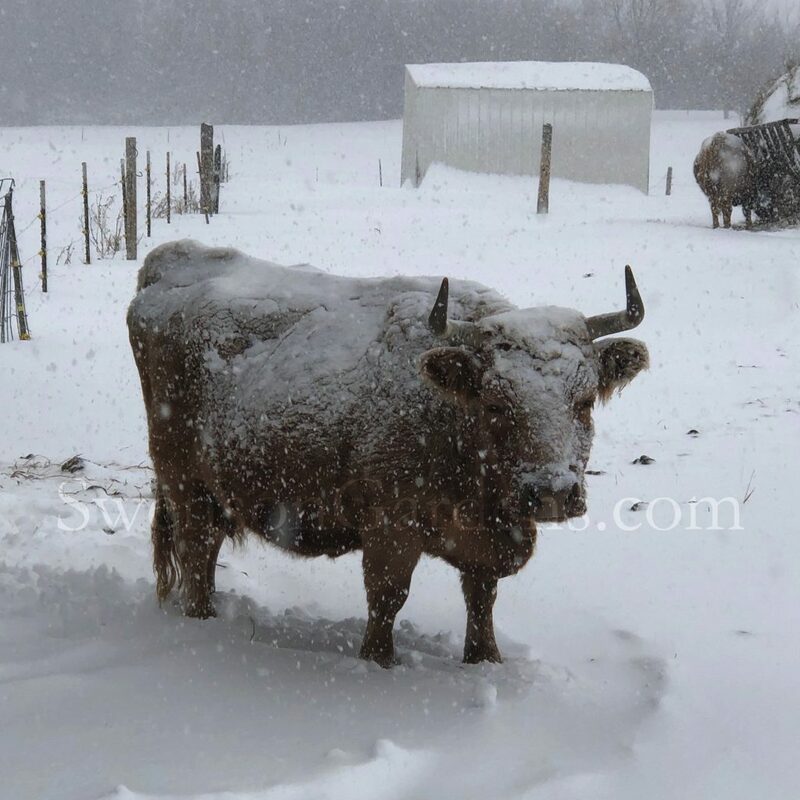 Record snowfall and extremely low temperatures have been the norm since February 1st. With another 6-14 inches of snow forecast for today and tonight, that could mean a total of up to 55+ inches of snow that has fallen here since February 1st. YIKES! Thankfully as I look out our front door this morning, the peonies are nice and toasty under the much needed snow that we haven’t had for the past few years. 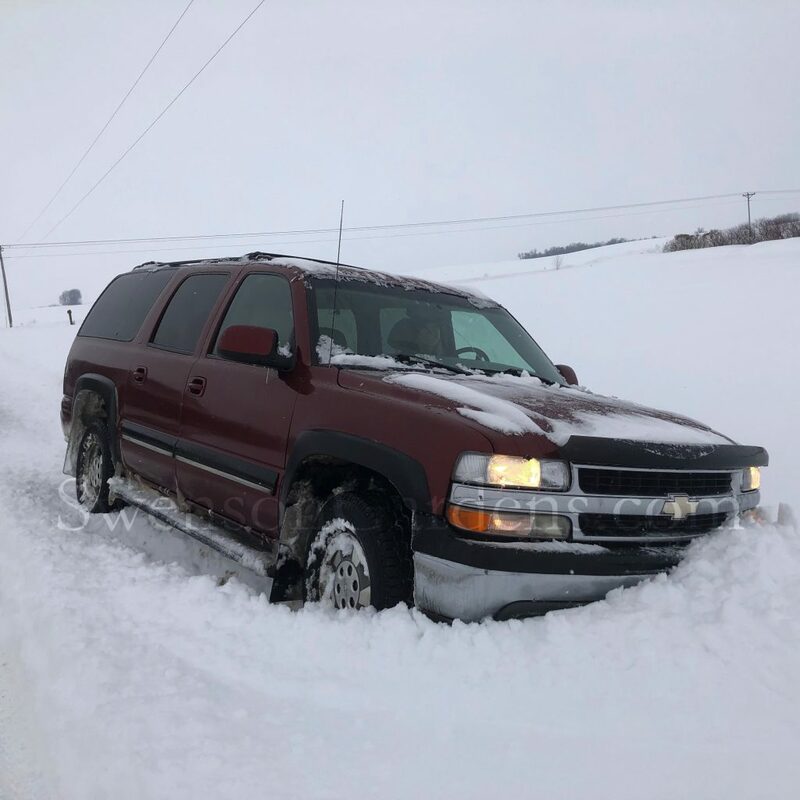 During last weekend’s blizzard, it took 3 hours to plow out our driveway so we could venture down to the main road. Can you find one of our snowmobiles in the next picture? Snowmobiles are supposed to be on top of the snow not buried beneath the snow! Yes there have been a few vehicles stuck on our driveway! Thankfully no one was injured other than our pride. 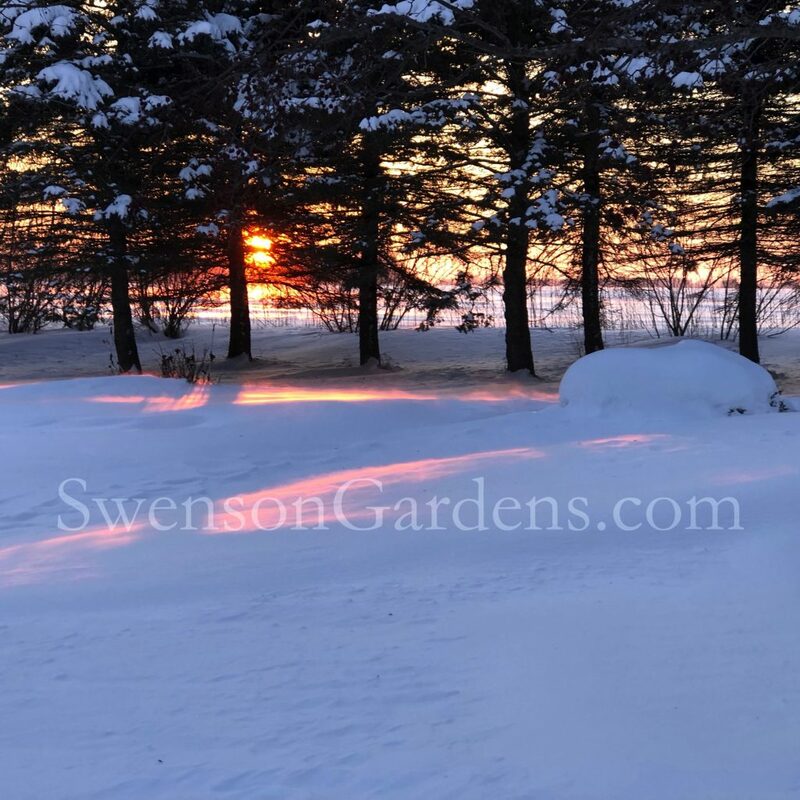 As we hunker in later today for our upcoming winter storm warning, it still amazes me how beautiful the sunsets are here on the peony farm in the winter. Perhaps this beauty helps us through the trials of snowstorms? Is 2019 the year of Swenson Gardens peonies? We certainly hope so as our website is now fully functional. Our webmaster was finally able to upload our online store directly into the website. Some of you were able to order, a bunch of peonies from our other website, shop.swensongardens.com, before that site was live on swensongardens.com. Not to confuse you, but for future reference, keep this in mind next year if we encounter trouble like this year. 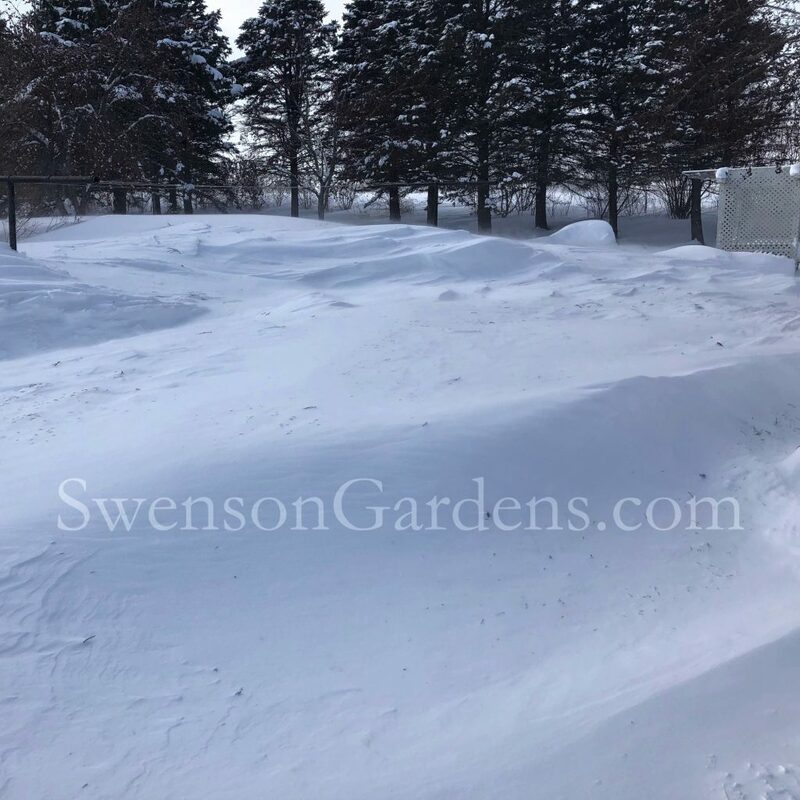 We do apologize for those of you waiting for ordering on swensongardens.com and then finding out that some varieties were already sold out as lots of you ordered from shop.swensongardens.com. Hopefully next year we will not have this delay. How do you like our new online store though? This was a major upgrade for us so we hope you enjoy our new store! 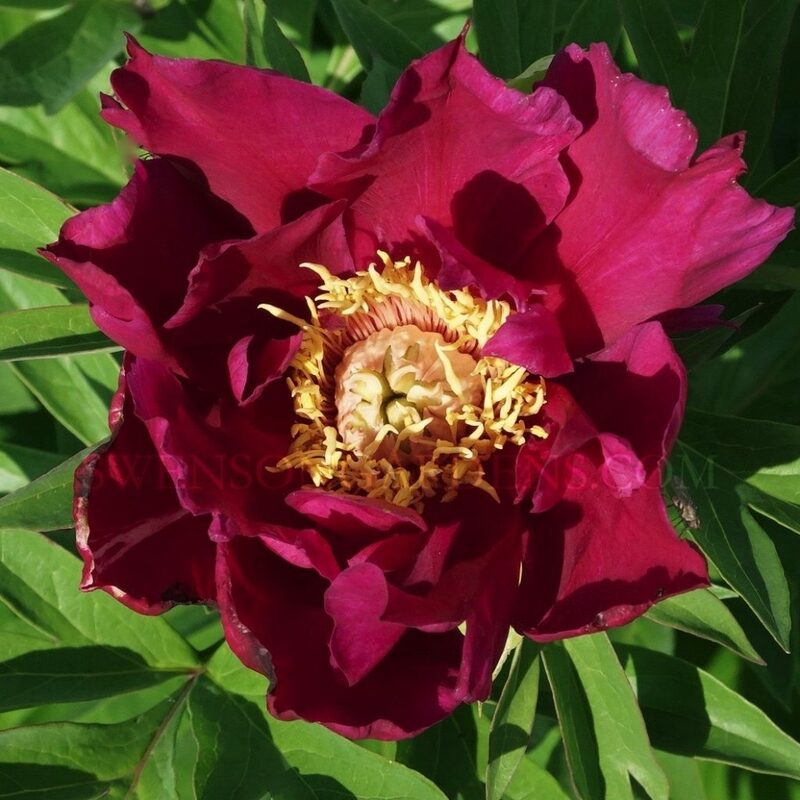 This year we have released our new seedlings ‘Tonka’ line of intersectional/Itoh hybrid peonies! These are named after Lake Minnetonka and recognize the history of that lake and the city of Minnetonka here in Minnesota. We’ve noted a brief descriptive paragraph on our website and the history surrounding that area is worthy of some Google searching whether you are in Minnesota or from a different state. Though color abounds in our virtual garden online, outside it is a different story! Ok so if you like the color white, snow is the predominant source of that color now. Over the next few years we are anxiously awaiting our new display garden. Here will be found hundreds of peony varieties. Of course the brownish tan color is the corn stalk mulch covering over 3000 new peonies that were planted last fall. If your garden is in USDA Zones 2-4, did you mulch your newly planted peonies? If not, mulch them now as noted in our Peony Care page. 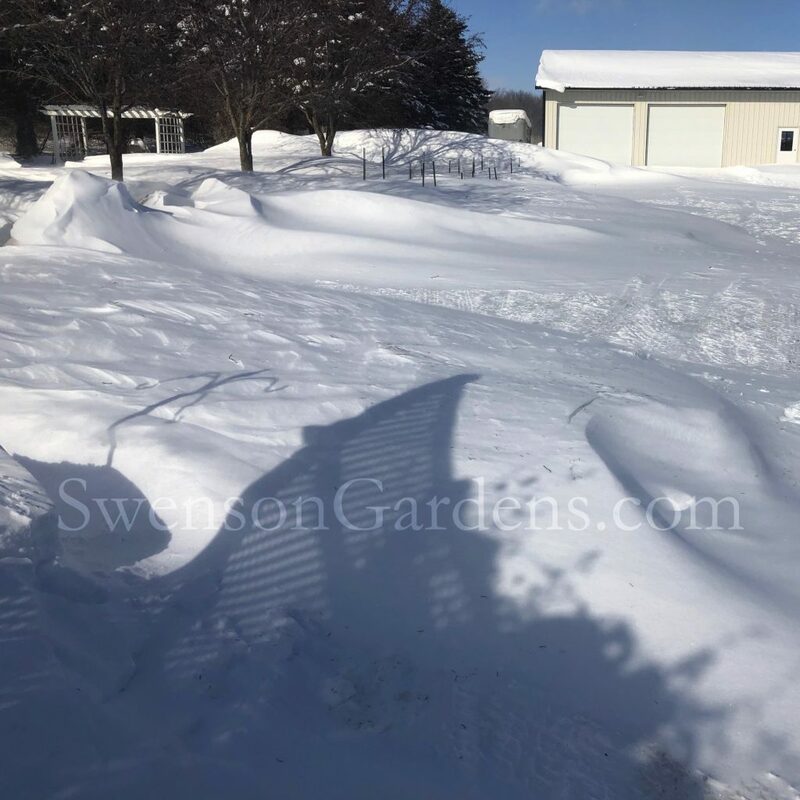 Mulch is not to keep the first year planted roots warmer, mulch is needed to prevent the freeze – thaw temperatures in late winter from allowing the roots to heave out of the soil. 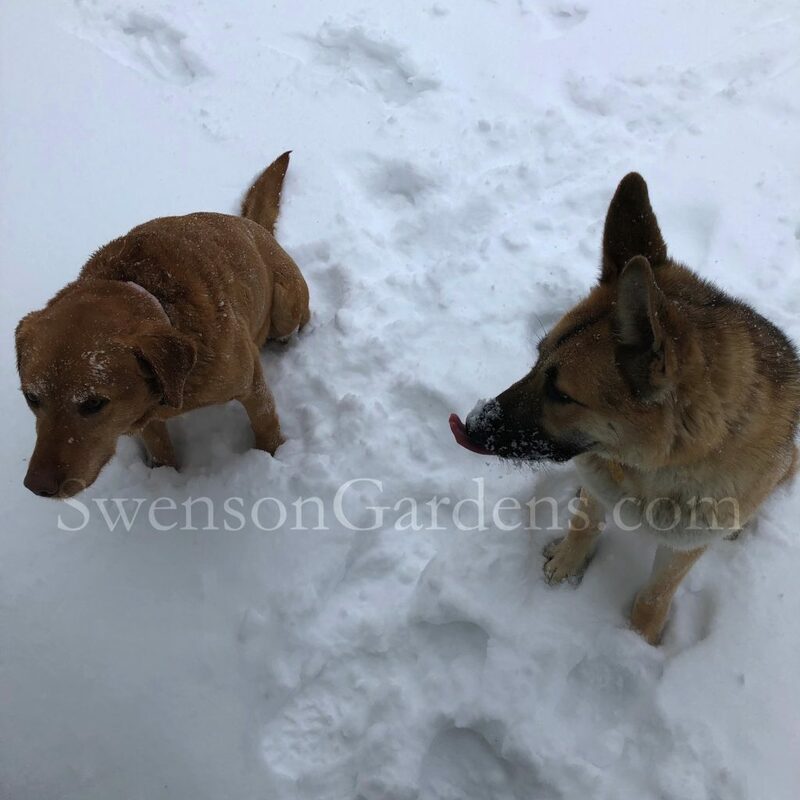 Both Heidi and Redd love to run in the newly planted and mulched peony fields. I’ve been trying to teach them to run up and down the rows versus across the rows, but that isn’t working out very well. 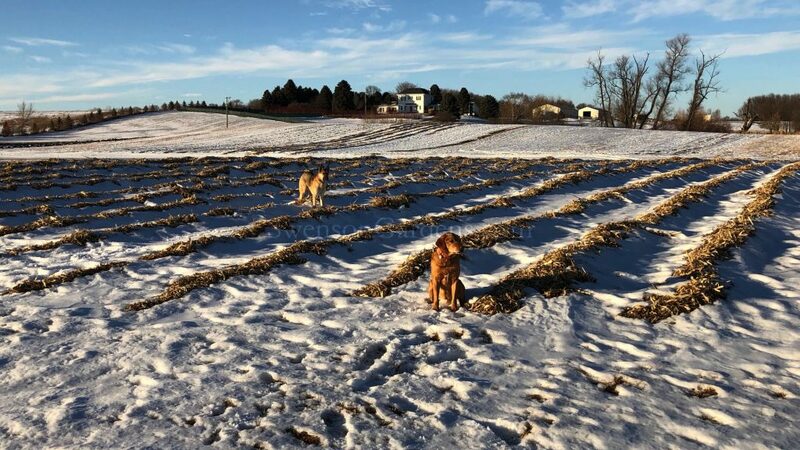 Finding morsels of corn in amongst the corn stalks seems to be their motive! Ok peony gardening friends its time to sign off for now and enjoy your visit on our website dreaming of peonies! 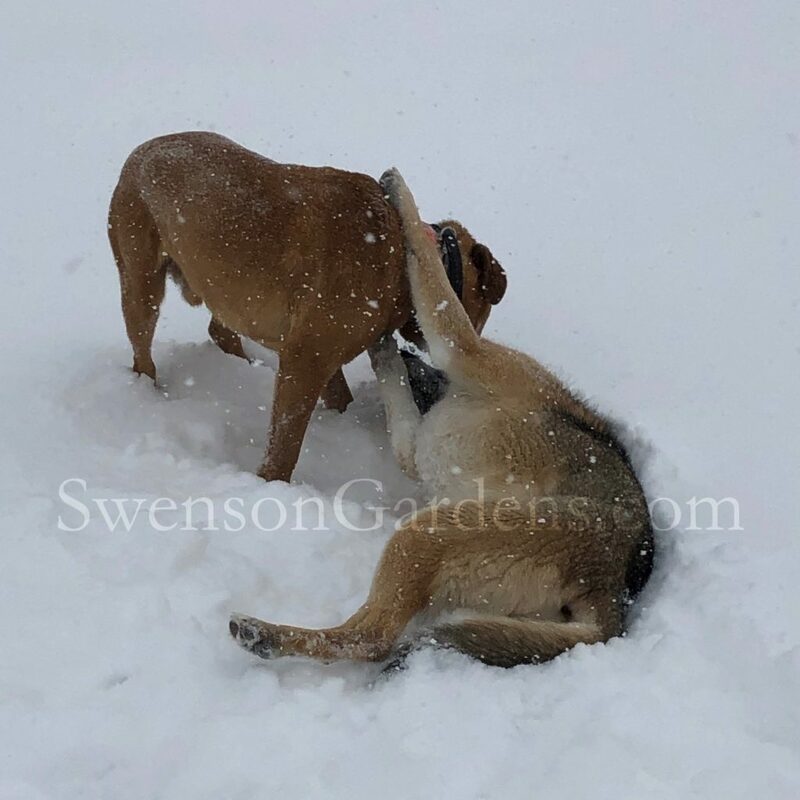 Welcome back to the 2019 Life On The Peony Farm blog postings. Yes it has been awhile since posting as 2018 summer and fall was beyond busy as we continue to expand our peony farm. 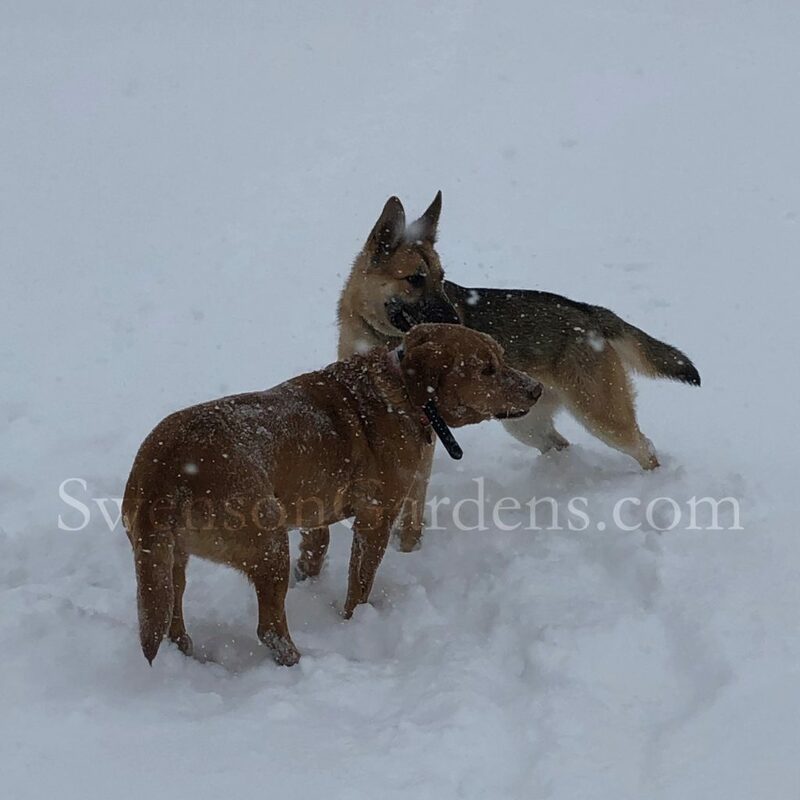 Some of you have been asking how Heidi and Redd are doing so I thought I would share some updated pics. 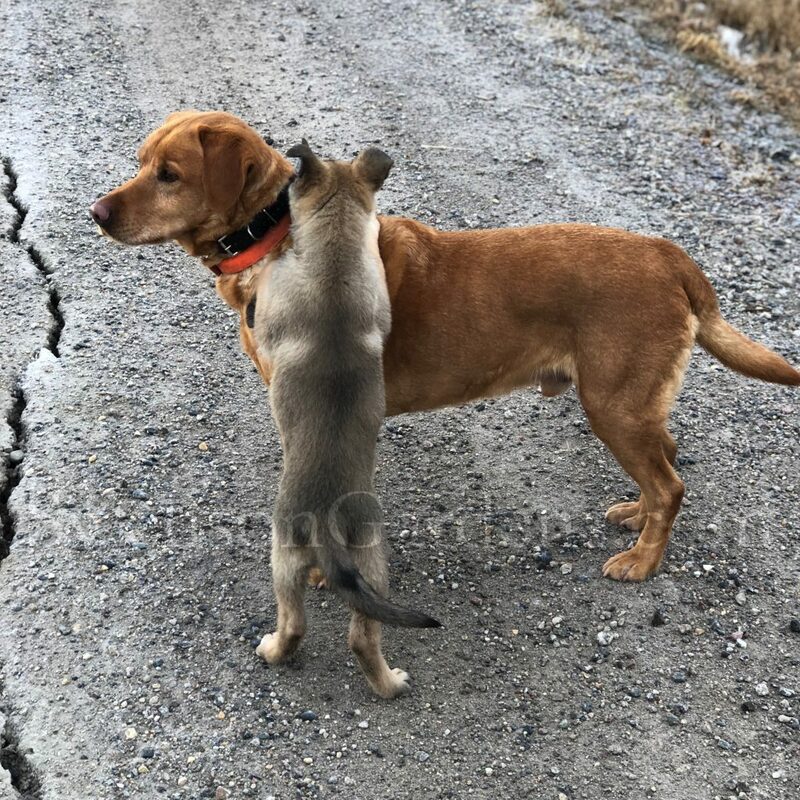 They both are still adorable but Miss Heidi has exerted her independence by visiting our neighbors and exploring the wide open fields around here now that the corn and soybean fields are now bare. Redd use to have the upper hand in being able to run away from Heidi, but now she is able to outrun him. As you can see in this pic, Heidi also has the height advantage over Redd. We’re not sure how much Heidi weighs now but oh she is very muscular and filling out nicely at 14 months old. Redd turned 9 years old last summer and his lovely red coat is now being dusted with gray on his muzzle. They are continually in motion whether its running around or trying to get them to pose for a picture. 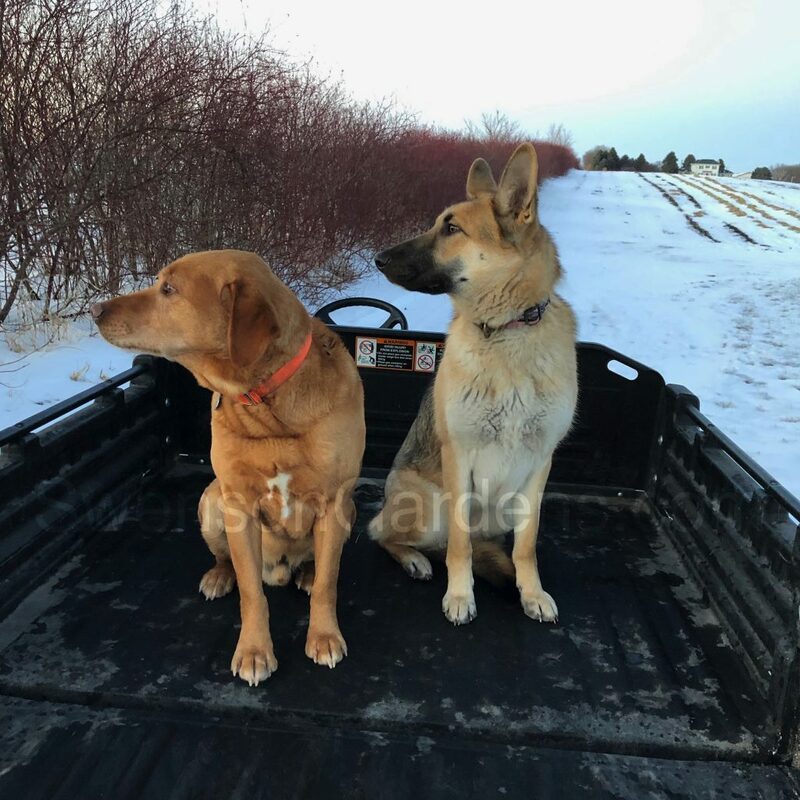 Both of them LOVE to go for rides in the Gator and of course in the truck. So how is training going with Heidi? Well we have good days and not so good days as she is more interested in chasing cats around the farm versus trying to reward her with treats while training. Speaking of treats, a tradition we have in our home around Christmas is yes making lefse. For those of you who do not know what lefse is, its made with riced potatoes, heavy cream, butter and a dash of salt. They are made into golf ball sized balls, rolled out thin and then fried on a 500 degree griddle. Scandinavian for sure! The best way to eat them is either with butter and cinnamon or with cookie butter. Can you say to die for? Starting out with 30 lbs of potatoes yielded about 14 dozen of these gems. Oh I was beyond happy on Christmas Eve as lutefisk was also on the menu. You can Google lutefisk if you want as I won’t detail what it actually is as you need to put gobs of butter, white sauce and allspice on it so you can’t taste it. 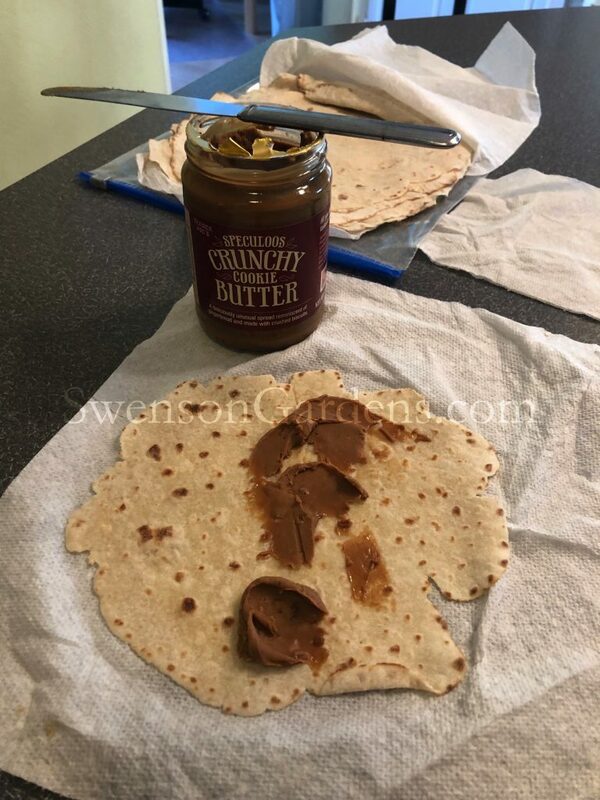 Yes this tradition was passed on from my Swedish and Finnish grand parents but our dear children forbade eating it after the age of 2 as I was able to get away feeding it to them until they were 3 years old. I thought if I started them young this may continue the tradition? Not! It was a lot easier to pass on the generational love of peonies to them versus lutefisk! Life on the peony farm…continues. 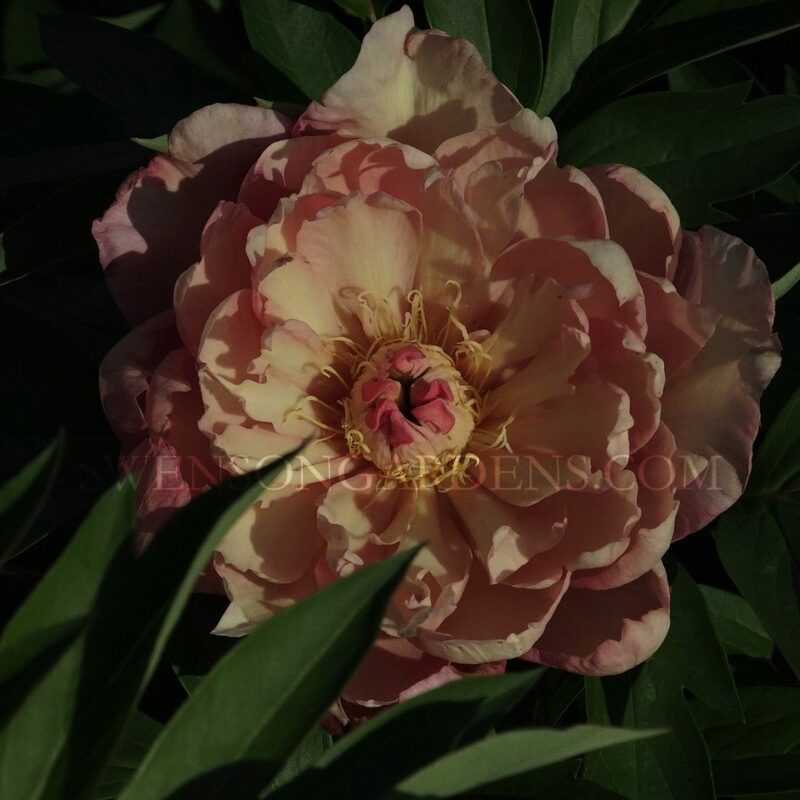 Ordering Swenson Gardens peonies is now available on our online store. 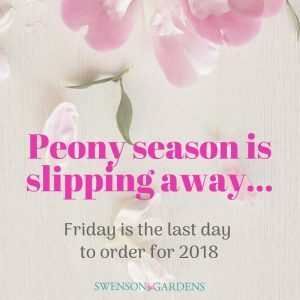 https://shop.swensongardens.com/ We have a software glitch linking our online store to our website so for now go to shop.swensongardens.com and let the peonies party begin! 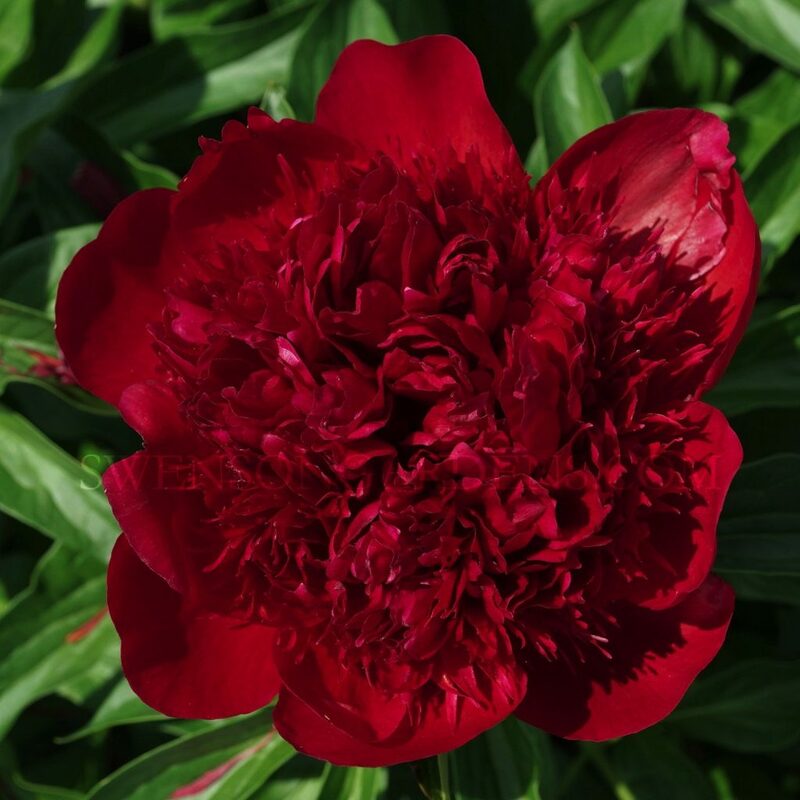 ‘Roger’s Red’ is a herbaceous hybrid peony that took our breath away last year. Unlike Stephen E. Ambrose, Roger’s Red does not show any white streaks within some of the petals and by far, the darkest red that Roger Anderson has hybridized. Very stout stems like most of Roger’s varieties. Just a few to share this year so order early once we open. ‘Tonka Peach’ is a intersectional/Itoh hybrid peony that continues Roger Anderson’s world renown hybridizing. This is one of our new found favorites amidst a sea of color that was included in Roger’s last generation of seedlings. This picture was taken on a three year old plant and can’t wait to see what happens as it continues to mature. WOW is all I can say on another of Roger Anderson’s herbaceous peony seedlings. ‘Fire Bomb’ is absolutely stunning in the field. Yes a true fire engine red bomb that stands moderately high on stout stems. These and other peony seedlings and new peonies will be noted on our 2019 website! We do want to wish all of our peony gardening friends a healthy and Happy New Year! May 2019 be filled with awe in your gardens this spring as we wait for our dearly loved peonies to appear! Hard to believe that our 2018 peony season is almost over! Seems like almost yesterday the snow was melting and hopes of the spring peony season was soon at hand. 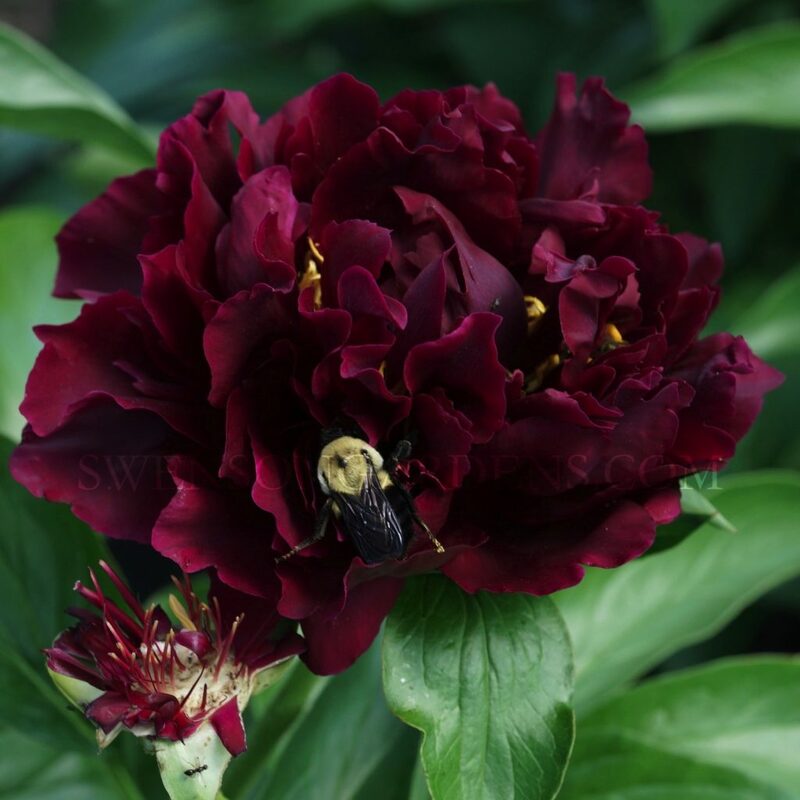 Thank you to all our existing Swenson Gardens peonies family and new family members who have entrusted us to provide chemical free bare-root peonies. We do not take this responsibility lightly as growing peonies without chemicals is truly a labor of love…and hard work. Please make sure to get your last minute peony orders in before our 2018 peony season is over. Time to pick up your peony orders on 9/14/18 & 9/15/18 from 9 am to 5 PM. For those of you who ordered your peonies and noted ‘pick up’ on the order form, we are so anxious to meet you and we have your peonies ready to go. Address again is 10958 70th ST SW, Howard Lake, MN. Come all the way up the driveway and the parking area is north of our home. An information area awaits you as well as staff to demonstrate how to plant a bare root peony.